Things at Paradise are in full swing! Arrival of new balls and new mats. Island targets are back in the water. Grass Tees will be opening up soon. New Mini Golf Clubs and Balls have arrived!!!! Get the kids together and bring them to Paradise during April Vacation for a fun outdoor activity. 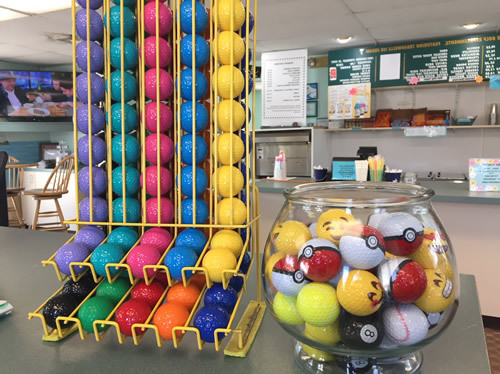 Play a round of mini golf, hit a bucket of balls and enjoy a Treadwell’s Ice Cream or Richie’s Slush. Your old favorite ice cream and slush flavors have returned. Stop by and enjoy a treat! 8:00am – 11:00am on any size buckets for the mats. We are now fitting for all TaylorMade clubs in addition to Callaway clubs. You now get rewards points when you purchase golf merchandise including clubs, golf hats and gloves and Callaway and TaylorMade golf balls at Paradise. Check it out next time you are here. We have added additional fairway targets for you to improve your accuracy. Club fitting for Callaway and TaylorMade clubs are done right in our Trackman Performance Studio. Paradise is the only place where you can combine the Trackman fitting technology with the ability to see ball flight. Make an appointment and see the difference a new club can make in your game. Are you looking for an easy way to make money for your school or organization? Bring your group here and we give 25% back to your group. Mini golf, driving range and ice cream purchases are included. Call Anne for more information at 978-750-4653. Every family has so many events to attend at this time of year. Why not pick up a few Paradise gift cards and make your life easier while giving the perfect gift. 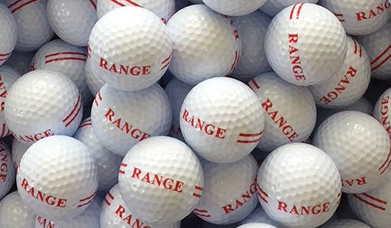 Stop by our golf counter or purchase them online from our website. Be sure to follow us on Facebook, Instagram and Twitter to watch for upcoming specials and deals at Paradise. We hope to see you soon at Paradise! Rainy Day? Play the most elite courses with our state-of-the-art indoor golf simulator technology.